Since we are dead now and we no longer have anything better to do until the day of resurrection but tell one another stories until we are sated, O my dead neighbor, do as I do: sit down unceremoniously on your tomb and listen to my account of my adventures in the world of the living. The Double Life (1858) is a collection of supernatural stories on the theme of dreams, glimpses into life beyond death and other posthumous experiences by Romantic author Charles Asselineau, better remembered today for his friendship with Charles Baudelaire, but also a significant pioneer in the literary development of dream materials. 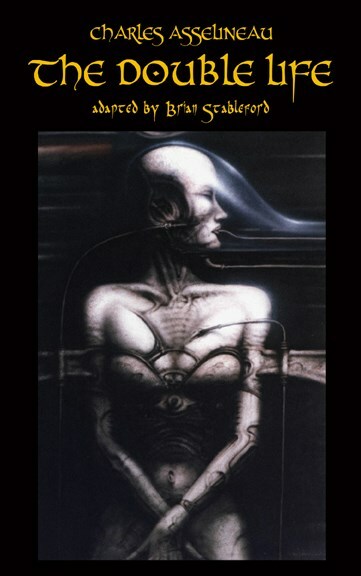 It includes two remarkable items of supernatural fiction, "The Second Life" and ""The Musician's Hell", which translator Brian Stableford calls "eccentric masterpieces of the genre," as well as the experimental classic, "The Lie" (1846).